Your negative feedback response is a big part of your online reputation. Wouldn’t it be great if all the feedback you get was stellar and glowing? Unfortunately, when it comes to the majority of business venues, the feedback is usually an equal mix of negative and positives. “Here’s what I expected…” is a phrase dreaded by many, although, in all fairness, there’s a lot of value you can get from it. 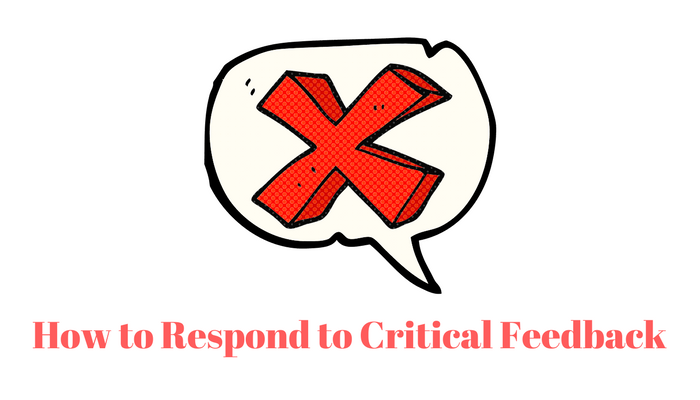 You can’t get away from criticism but you can integrally change the way your react to it. And, when it comes to it, your responses are capable of turning the tides substantially. There are different situations, so let’s make some assumptions and take a look at a few helpful suggestions on potential paths of action. When you’ve messed up, it is absolutely important to show humility. You are, in fact, wrong. You should never try to skew it in a different way as the audience will view you as a provider who’s willing to go above and beyond to make unjustified excuses. Instead, demonstrate the way you are going to learn from your own slip. This is going to send an entirely different message. Defend yourself. Now, this doesn’t mean that you should be brushing the client off – that’s something completely off limits, regardless of the situation. However, it is important to attest that you stand by your actions and that you don’t want to commit to any change that you do not believe in. Make sure that your response is appreciative and polite but at the same time it doesn’t force you to make any definitive promises. An added benefit is that if the client turns out to be right, you wouldn’t have to apologize. That’s something you can’t afford. Immediately acknowledge the emotions he or she is having – that’s the best start. However, it’s not enough. In order to compile a productive response, it is important that you provide a clear and actionable solution to rectify her or his emotions. A huge mistake in negative feedback response would be to openly attack the client for his vagueness. This isn’t something that would yield a result of any kind. Instead, gently pressing the client for further details and information is the approach you’d like to undertake. However, you should explicitly emphasize on the fact that the information provided is vague or unclear in order to ensure that there are no mixed signals received by the wider audience. Never call it. That’s something you should consider. It’s not helpful and you shouldn’t fall within direct public confrontation. Gently say that you’d approach the details more carefully and be done with it. As you can see, negative client reviews could easily turn into something beneficial as long as you react in the proper manner. What is more, using this criticism to your advantage will enable you to improve your services or products. Previous Paying for Reviews – FTC Guidelines and What Does the Law Say?